This no April fool joke (yet anyway) . Instead draining energy or using battery,it's likely using century-old technologies found in watch, toys ,radio and etc. 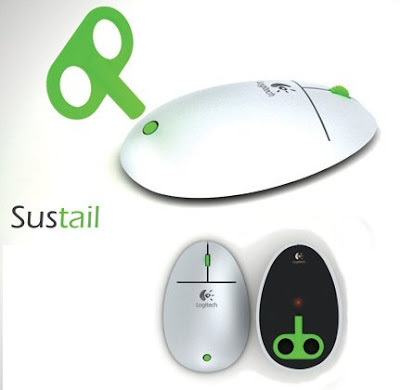 to wind up the mouse controller will allow user to take regular break and help albeit in power consumption. Plus, it does comes quite handy in power outrage situation or some remote area and allow pc user to do some light physically interaction . For more info, log on to gizmag. .
PS:Will seriously getting one for my Pc if Logitech managed to market it this year.